and available for overnight guests! in support of us, tiny houses, and short-term rentals. 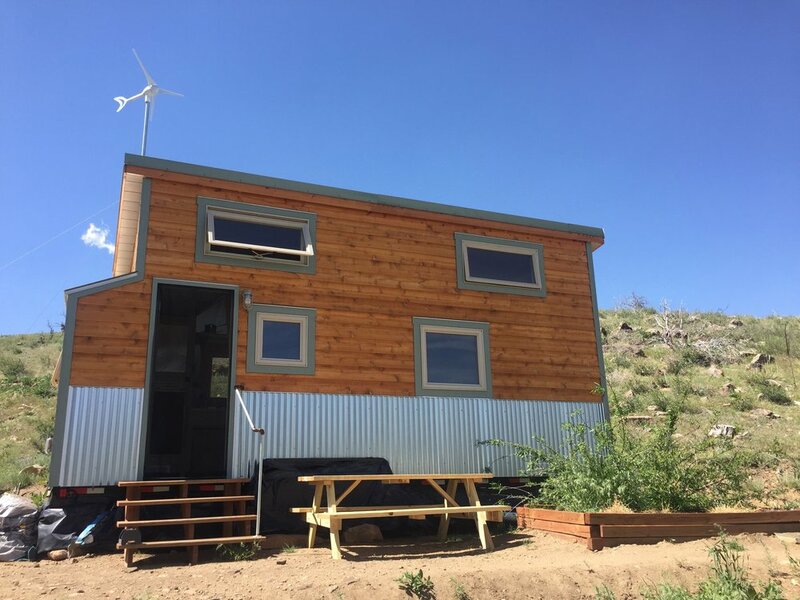 Staying in our Tiny Houses will provide guests direct access to a State Wildlife Area while gaining the experience of living green, remotely & comfortably. Living remotely and with a low carbon footprint can be just as satisfying and sometimes more comfortable than with the "more is better" living style we have grown to accept as the standard. Let our Tiny Houses show you that tiny living and a minimalist lifestyle can be quite comfortable as well as liberating. Find out about us and our company's mission. Email our County Commissioner, Lew Gaiter III, in support of tiny houses and short-term rentals.